Postgraduate courses with professional focus and practical insight. 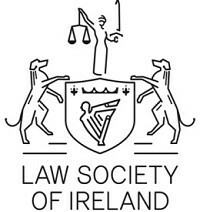 The award-winning Diploma Centre at the Law Society of Ireland has provided continuing professional education and training for over 20 years. The Diploma Centre offers a diverse range of postgraduate courses which are available both onsite and online. Courses delivered by leading experts are open to solicitors, trainees, barristers and suitably qualified professionals. We provide a flexible approach to learning with courses designed to satisfy CPD requirements. The Diploma Centre offers a diverse range of courses including core fields of interest for solicitors and innovative programmes which reflect the specialist areas of practice in which the legal profession increasingly operates. These include our Diploma in Aviation Leasing and Finance, Diploma in Technology & IP Law, Diploma in Sports Law and Certificate in Data Protection Practice. Courses are available online, live and on-demand, providing a dynamic platform of flexible, accessible learning. All current diploma and certificate courses are available on the Diploma Centre webpage. Annual free Massive Open Online Course (MOOC), with over 10,000 registrants from 70 countries. If you have a query, we have the answers to your questions. Please check our FAQ or contact us by phone or email.